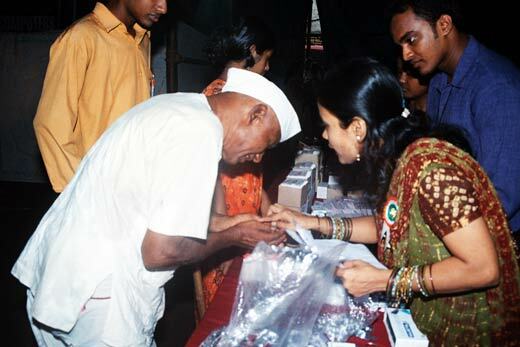 Pragatee foundation was organized FREE EYE TESTING AND SURGERY CAMP on 4th DEC 2005, at Dr. Baba Saheb H.S., P.L. Lokhande Marg, Chembur(w), Mumbai between Morning 09:00 a.m. To 3:00 p.m. successfully. This camp useful to the people who are suffering from many eye diseases like Refractive error, Cataract, Glaucoma, Squint, Conjunctivites, Corneal opacity, Conjunctiva xerosis, Bitots spot(Due to Deficiency of vitamin A) etc. 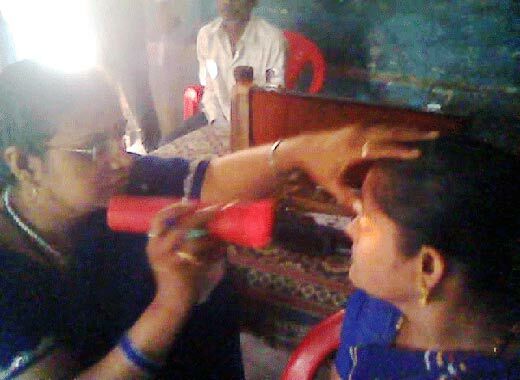 This camp was useful to the people who were suffered from many eye diseases like Refractive error, Cataract, Glaucoma, Squint, Conjunctives, Corneal opacity, Conjunctiva xerosis, Bitot’s spot (Due to Deficiency of vitamin A) etc. We found around 300 patient of Cataract to whom we operated absolutely free of charge. On 26th July 2005 Entire Mumbai people faced one of the worst day in their life. Almost everyone lost something in that heavy flooded rain fall. This type of disaster was never happened in the history of the Mumbai. Every person was seeking help to save their life. Many of them lost their lives, their relatives, their family members, their friends and their entire earnings in this disaster. There after many Govt. and Non-Govt. Organization, Trusts, Societies, Social workers came forward to help people. Because of heavy rain, flood like situation and full of garbage new challenge arises of epidemics. 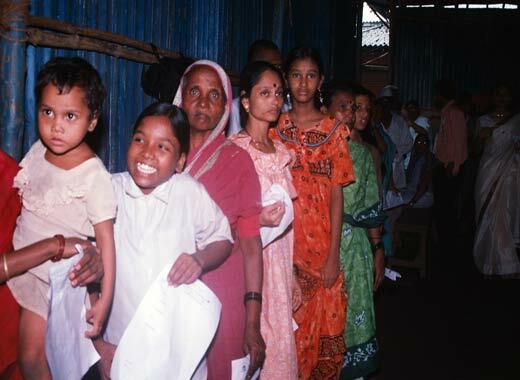 Mumbai started facing diseases like malaria, dengue, leptospirosis etc. It is very difficult to reach each and every part of Mumbai to control this epidemic like situation. Govt. try their best but there are certain areas where no one reach and no one take care of them. 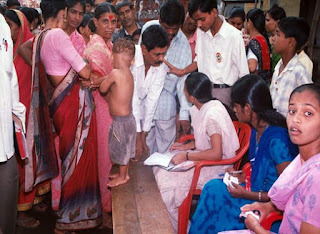 Pragatee foundation is one of the trusts for social, health and education Development; find out such affected areas and organized free medical camp, free medical distribution camp etc. 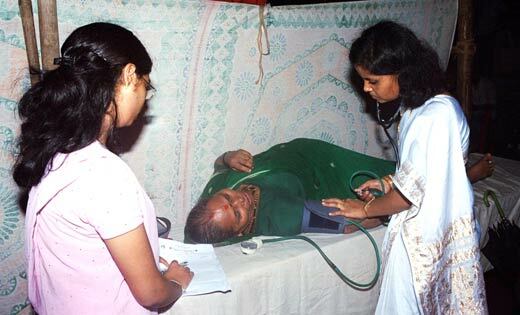 Pragatee foundation’s survey team found that there are areas where diseases are there but because of poor background people are not able to take proper treatment and medicines. Even today there are many cases come forward of malaria, dengue, lepto etc. 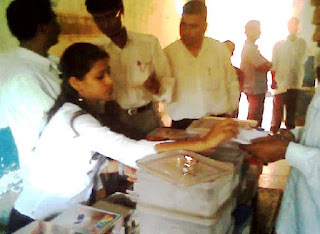 Pragatee foundation is totally non-political trust. It doesn't have any political touch with any political party. It is fully social body. 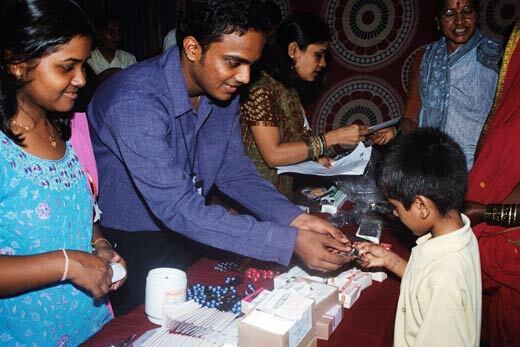 So on 4th Sept 2005 Pragatee foundation organized Free medical check up and Free medicine distribution camp at Indira nagar 01, Near amrut nagar, Sai nath road, Opp. 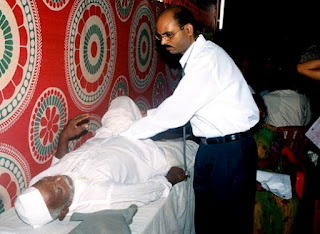 Datta mandir, Ghatkopar (w), Mumbai – 86 between morning 8:00 A.M. to Evening 2:00 P.M.. Pragatee foundation selected qualified doctors’ team under Dr. Pramod Nishar (M.D., Hindusabha Hospital). Team includes Dr. Baba Meshram, Mrs. Dr. Veena Meshram, Dr. Rupesh Mandaokar and Dr. Jayendra Singam. Celebrities like Marathi Movie Actress Prema Kiran (“DHUMDHADAKA” fame), Area corporator Mr. Kumar Pandeyji, local social workers etc. visited and encourage us. There were 55 volunteers and 10 Team Leaders appointed to control and manage this camp successful. Media channels like “C” TV and local cable channel CITI cable broadcast this event and encourages us. FM Radio channel - Radio city made an announcement about this event 3 or 4 days before during their programs. Maharashtra. Here we spend around Rs. 40,000/- (Forty Thousand Only) . 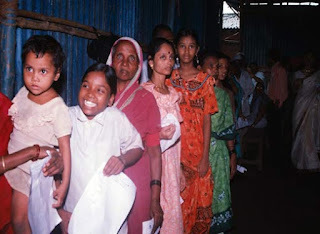 INDEPENDENCE DAY was celebrated on 15th AUGUST 2005 at Ghatkopar(W) head office with the presence of local residents. During this ceremony Pragatee Foundation has distributed sweets and fruits to all local children. Function was attended by President Mr. Kiran Rane , Vice-President Mr. Krishna Bokka , secretory Mr. Harish Pagare , treasurer Mrs. Pawanpreetkaur Duggal and other trustees Dr. Baba L. Meshram , Mr. Trilokchandsing Duggal and Mr. Dharamveersing Arora.